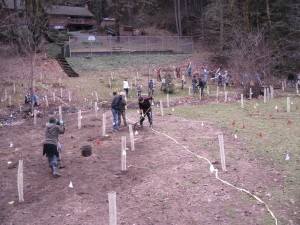 In 2009-2010, the 6th -8th grade students of Corvallis’ Lincoln Elementary School adopted the planting of the riparian area of the Wakefield’s on Blair Creek. Teacher, Janice Rosenburg, tailored the curriculum to interweave math, science and writing into the restoration experience. 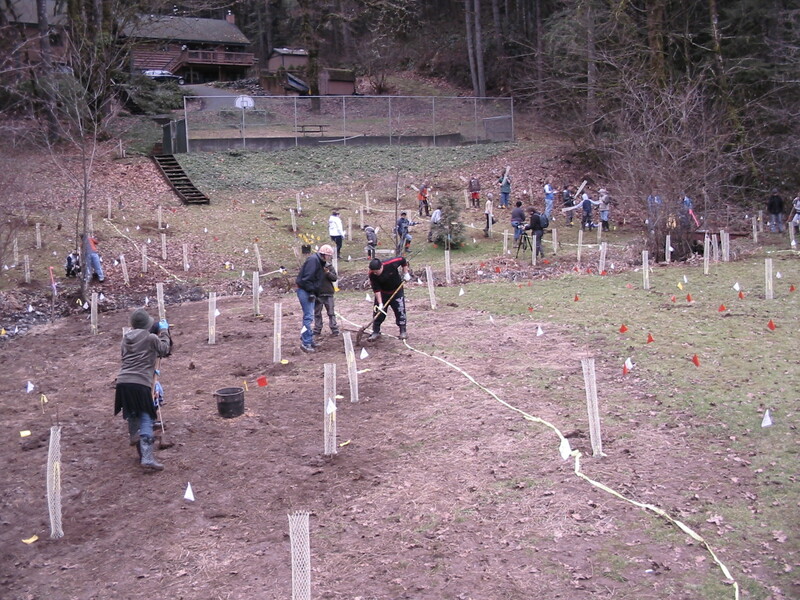 The students planted a total of 900 trees and shrubs on the .35 acre site that had been converted from a riparian forest to a softball field by a previous owner. This project was supported by Oregon Trout, Benton Soil & Water Conservation District, Lincoln School, and Oregon Dept of Fish & Wildlife STEP program.